For a wide range of delicious desserts from custom cupcakes to a towering wedding cake, Celebrity Cafe and Bakery offers a delightful assortment of bakery and specialty items for any event from a bridesmaid brunch to an extravagant reception. 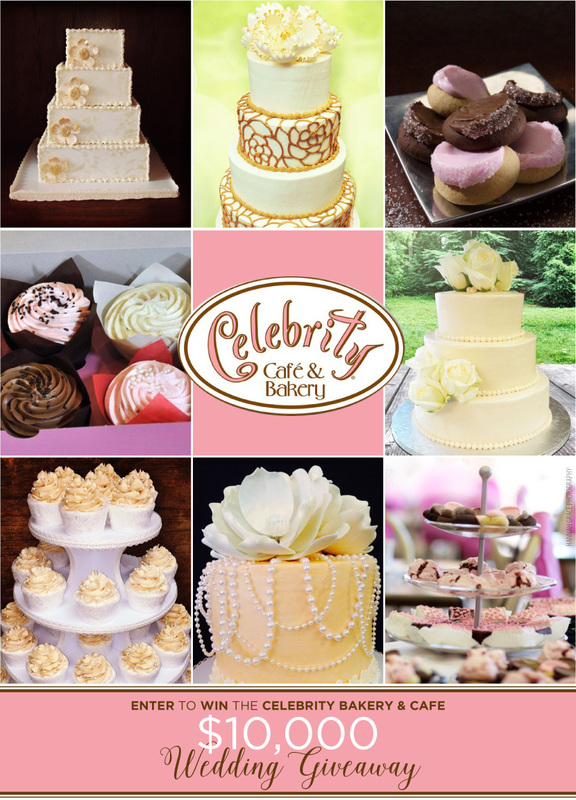 As a very special treat this month, Celebrity Cafe & Bakery has partnered with some great local wedding vendors to bring brides to be a $10,000 WEDDING GIVEAWAY! To enter, simply visit one of their four locations (Highland Park, Preston/Royal, Colleyville or Frisco) and fill out an entry card. One lucky winner will be selected on March 30th! The amazing prize package includes $1,000 toward a custom wedding cake, $500 toward a groom’s cake and $500 toward catering for one of your pre-wedding events from Celebrity Cafe & Bakery! The winning package includes $1,000 towards a full service photography package from Dyan Kethley Photography, $1000 off full service planning from Jacqueline Events & Design and much more from florals to wedding rentals!